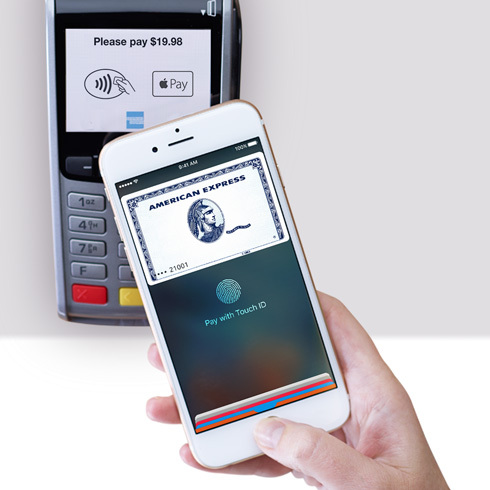 Apple has strongly criticized an attempt by three of Australia's big banks to jointly negotiate a deal over access to the iPhone's NFC mobile payment hardware, claiming it would compromise security and scupper innovation in the field (via Financial Review). In a clear opprobrium of Commonwealth Bank, National Australia Bank (NAB), and Westpac, Apple told the Australian Competition and Consumer Commission (ACCC) that "allowing the banks to form a cartel to collectively dictate terms to new business models and services would set a troubling precedent and delay the introduction of new, potentially disruptive technologies." The three banks lodged a joint application with anti-trust regulators last month to negotiate with Apple over gaining access to its digital wallet hardware, having so far resisted signing deals to use the company's Apple Pay mobile payment system. Apple upholds very high security standards for our customers when they use Apple devices to make payments. Providing simple access to the NFC antenna by banking applications would fundamentally diminish the high level of security Apple aims to have on our devices. Unfortunately, and based on their limited understanding of the offering, the [banks] perceive Apple Pay as a competitive threat. These banks want to maintain complete control over their customers. The present application is only the latest tactic employed by these competing banks to blunt Apple's entry into the Australian market. The submission made clear that the banks are "essential to Apple's ability to offer Apple Pay on a meaningful basis with Australia". However, it also lambasted their negotiating approach, with Apple claiming that one of the banks had even refused to enter into a confidentiality agreement to allow for initial discussions about the terms of participating in Apple Pay. Apple asked the ACCC not to provide any authorization for a deal this month and suggested it take the full six-month statutory period to assess the application more thoroughly. The submitted document was signed by Marg Demmer, a former cards executive at ANZ Banking Group, the only bank in Australia's "Big Four" that played no part in the original joint application and has already allowed its cards to be used via Apple Pay. Whenever a bank card transaction takes place, the card-issuing bank deducts what's known as an interchange fee from the amount it pays the acquiring bank that handles the card transaction for the merchant. ANZ is said to have agreed to give up some of its interchange fee to Apple as part of its deal with the company, but the other big banks appear unwilling to negotiate a similar deal. I love Apple stuff but that's a bit rich coming from them. Australians should be proud that some of their fellows still have enough backbone to stand up to Apple. Nope, I'm disgusted in my bank (Commonwealth) for partaking in these 'fighting' matches with Apple, and they're paying for it by loosing customers to ANZ. I want Apple Pay, and I don't want the banks accessing the NFC. They'd use their lame applications, and it wouldn't be tied into the OS like Apple Pay is. Apple's right. The Aussie Banks are just being greedy themselves. Get on-board or lose more customers, it seems. Opening up NFC would be beneficial all over the world, from wallets to ticketing systems to personal data exchanges. Moreover, Apple is simply hosting secure payment applets written by the credit card companies. Apple didn't code those or the tokenization. Their demand that banks pay a fee to let their own customers register with those common credit card applets, is sheer greed. The banks have paid to install all of the nfc machines which are present in virtually every shop across the country. No, the merchant (retailer) pays exorbitant monthly fees to the bank for the privilege of having a terminal. The banks pay nothing. For the record, I dumped by Westpac and Virgin credit cards for an ANZ card the day of the announcement. Ha ha in the left corner greedy Apple, in the right corner , greedy banks.....both have our best interests at heart .... Let the BS flow. Hmmm... the NAB has an iPhone app that still hasn't been optimized for iPhone 6/6+ screen resolution, how many years ago was that? Oh that's right, nearly 2 years ago now. They're not exactly demonstrating that they're capable of creating and maintaining an App to using the NFC chip, which Apple would never give them access to anyway. Backbone? More like a combination of fear, greed, and stubbornness. The banks know they can't out-innovate Apple and are simply trying to protect their stale businesses and fat margins. They can't see that they'll need to open up to remain relevant. * They know how to make things work seamlessly their customers. * Security will be better off if they keep third party apps away from they hardware. * They are far more relevant than the banks. Kudos to ANZ for figuring out it will be a win for them with very little effort on their part. ANZ didn't want to deal with your sh*t, and they partnered with Apple months ago. Guess what, ANZ has claimed over 50,000 new customers moving their bank accounts and credit cards over to use Apple Pay. Please for the love of god just accept Apple's fees!!! True, but I'd bet that one side is a lot more concerned about end-user experience than the other. I've never met a banking app (from a bank) I liked. So basically Apple has come up against an entity that uses the same "negotiation" tactics as Apple. My way or the highway. Poor Apple.